If you have knee pain, exercising may be the last thing on your mind. And you're not alone. Only 13 percent of men and 8 percent of women with knee ailments get the minimum recommended amount of weekly exercise, experts say. But exercising could be the best thing you can do for your knees. Exercise is a good therapy for knee pain, but it needs to be the right kind of exercise. Pounding your knees with high-impact exercise or overdoing it during workout could make your knee pain worse. 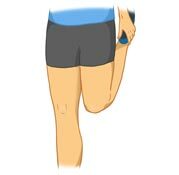 But it's easy to avoid problems by following a few do's and don'ts for exercising with knee injuries. Although knee pain may present some exercise barriers, many kinds of exercise are easy on the joints and will make your knees feel better, not worse. Most people with arthritis and other kinds of knee pain and injuries don't get enough exercise. Exercising regularly can help ease knee pain, help speed up the recovery process, improve joint function, and improve overall health. 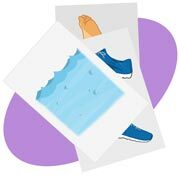 If you aren't sure what kind of exercising you should do for your specific knee pain, consult your doctor or work with a physical therapist. Before doing too much exercise or pushing yourself too hard, it is important that you keep swelling to a minimum. One of the best ways to bring down swelling is to use cold therapy, and one of the best products to do that is the King Brand ColdCure Wrap. If you're worried that exercising will be too hard on your knees, try exercising in the water first. The buoyancy will take the load off your knees, allowing you to exercise with less pain and stress on your joints. Basketball, tennis, racquetball, squash, soccer, and football are hard on the knees because they involve sudden starts, stops, and turns as well as jumping and landing. 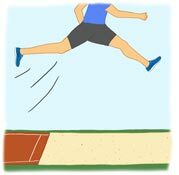 Avoid any type of exercise that involves jumping if you have knee pain. Moderate walking is recommended for people with knee pain because it's a low-impact activity. 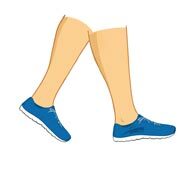 If your joints are painful and stiff, start slowly and work up to 20 minutes of walking per day. Plus, daily walking will help with weight loss, which is a bonus because carrying extra weight puts stress on the knees. Walking or running on concrete or asphalt is a bad idea when suffering from knee pain because these surfaces have no shock absorption. Dirt paths and grass is another good option because it absorbs shock, but it tends to be bumpy and uneven. If grass and dirt don't sound appealing, take your walk indoors. 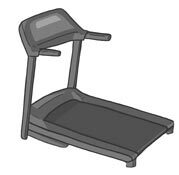 Treadmills have the most consistent surfaces and pretty good shock absorption. Stationary bikes and elliptical machines allow you to get a good aerobic workout without stressing your knee joints. 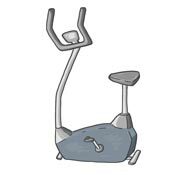 Recumbent stationary bikes are even better because you're not sitting upright while exercising, which takes more weight off the knee joints. Avoiding doing full squats and leg presses. These strength-training routines often requires bending the knees beyond 90 degrees, which puts excessive pressure and strain on your knees. Like a natural knee brace, stronger muscles will help compensate for weak or injured tendons, ligaments and joints. 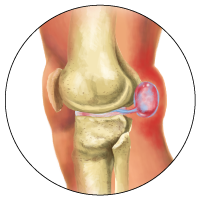 The quadriceps and hamstrings are the two main muscle groups that support the knee. 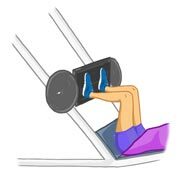 Do straight leg raises to strengthen the quadriceps and walk backward to help strengthen the hamstrings. When muscles are fatigued, they can't absorb as much shock, which places extra stress on your knees. Start your exercise program slowly and make sure to switch up your exercises every day to help avoid overuse injuries like tendonitis. Consider alternating walking and swimming. Warm, flexible muscles aren't injured as easily. Take a few minutes to stretch the quadriceps and hamstrings before your workout. Then start with five minutes of slow walking before getting into the pool or pedaling on the stationary bike. This will also get your heart rate and breathing revved up slowly, which is beneficial for overall fitness. You might be asking yourself “Who is King Brand, and why is their forum content so important?” Well, here&apos;s why! King Brand takes pride in knowing that their products will help heal people, and they aren't afraid to show it. Their commitment to helping people heal naturally, is the pillar on which the company has grown on. The term BFST stands for Blood Flow Stimulation Therapy and it was created by King Brand Health Care. Blood flow is very important to help heal injuries, and after years of research and development they have come up with a product that does just what it says. No other company can match what King Brand does. They are the only company on the market that can directly target injuries at a cellular level with no surgery or doctors visits needed. Of course it’s important to visit the doctor when you've injured yourself, but their treatment modalities can be done in the comfort of your own home. The King Brand forum is a great place to research specific ailments and to figure out whether or not the BFST and ColdCure products can help. Their treatment advisors are constantly posting on forums to help educate people on how to heal their injuries. If you can't find the answer you're looking for, then feel free to take part in their forum by registering. Just below is a prime example of the quality customer service that King Brand provides on a daily basis. This is the perfect online community that will help educate, heal and get you back on your feet in no time. This is the second King knee wrap I have purchased. They do the job. My doctor told me i had a torn meniscus and would have to have surgery sooner or later. That was before I started using the heated King knee wrap. It has done wonders for my knee. I use it twice a day and the pain is less and less. Compare the cost of the wrap to the price of surgery. Oh yea, don't forget the pain you will miss after surgery. I would choose the heated King knee wrap every time. Copyright 2011-2019 King Brand Healthcare Products® Limited. All Rights Reserved. Ankle Ice Packs Comparision, Back Ice Packs Comparision, Elbow Ice Packs Comparision, Foot Ice Packs Comparision, Knee Ice Packs Comparision, Leg Ice Packs Comparision, Shoulder Ice Packs Comparision, Wrist Ice Packs Comparision, Ankle Injury Treatment, Back Injury Treatment, Elbow Injury Treatment, Foot Injury Treatment, Healing Therapy and Injury Treatment, Knee Injury Treatment, How to Tape Injuries. King Brand® ColdCure® Cold Therapy ice packs and gels are the best solution to your ankle soft tissue injury. King Brand® ColdCure® RigiGel® Ankle Wraps hold the cold longer, stay in place and are safer than any other product. Treat your ankle pain with King Brand® for the best results.